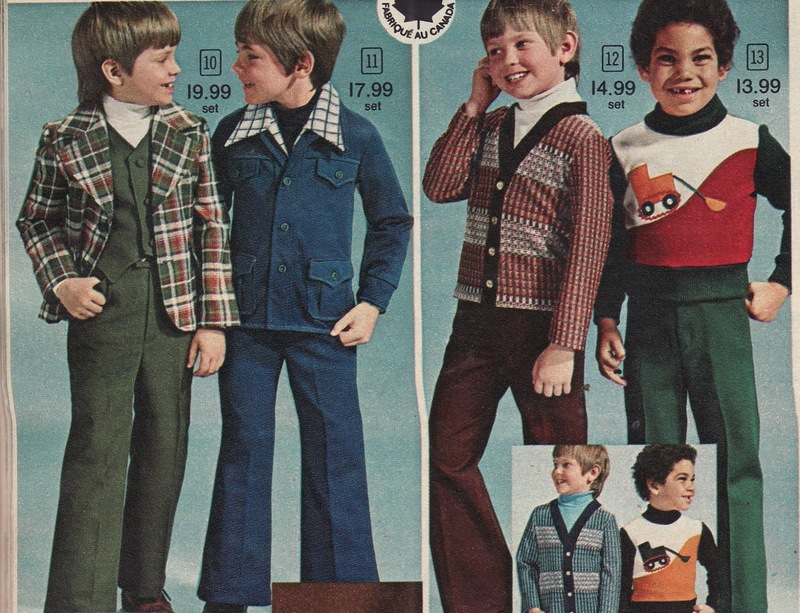 "it's really not a bad looking shirt"
However, I vividly recall my mother putting me in corduroy pants and velour shirts. So, I have little room to talk. "Chubbies". And we thought "husky" was psychologically damaging. 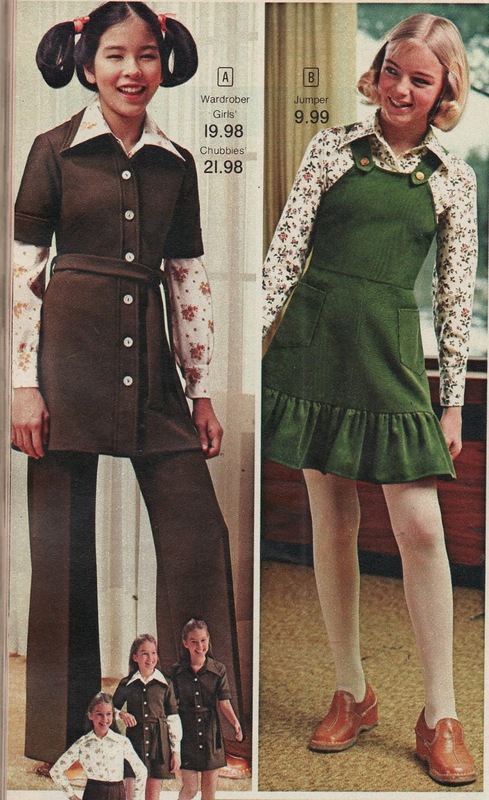 I remember going to our local store, Lermans, and then J.C. Penny a lot for clothes. We had to go to "the big city" for that one, so I could usually engineer a rare stop at Thornberry's, TRU or Children's Palace, so it was worth it! And I had the burgundy version of H. I saw a teenage girl wearing velour shorts the other day. 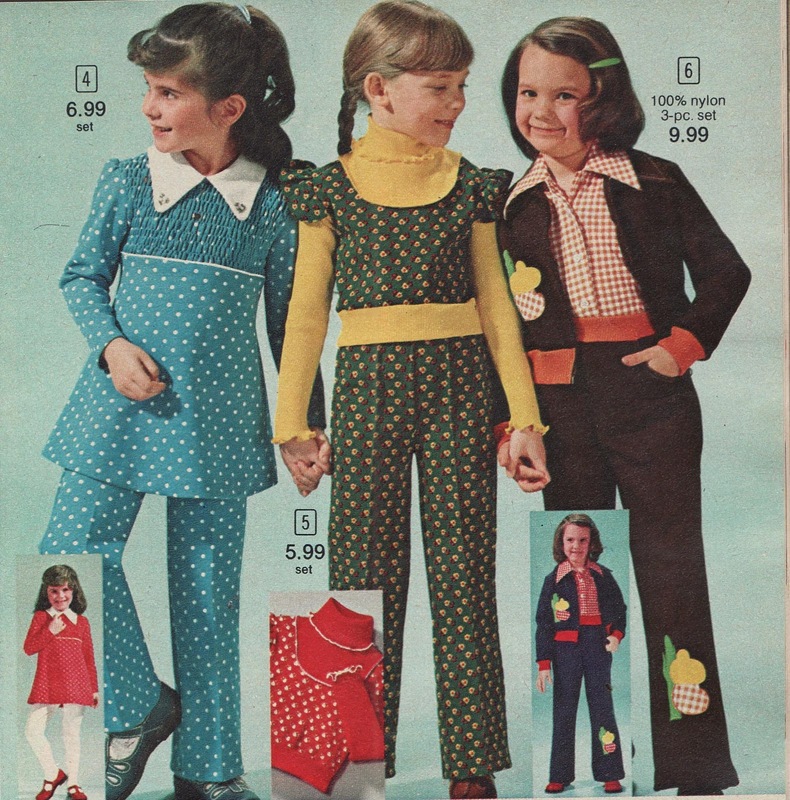 It caused the same anxiety filled flashback that this catalog did for me. 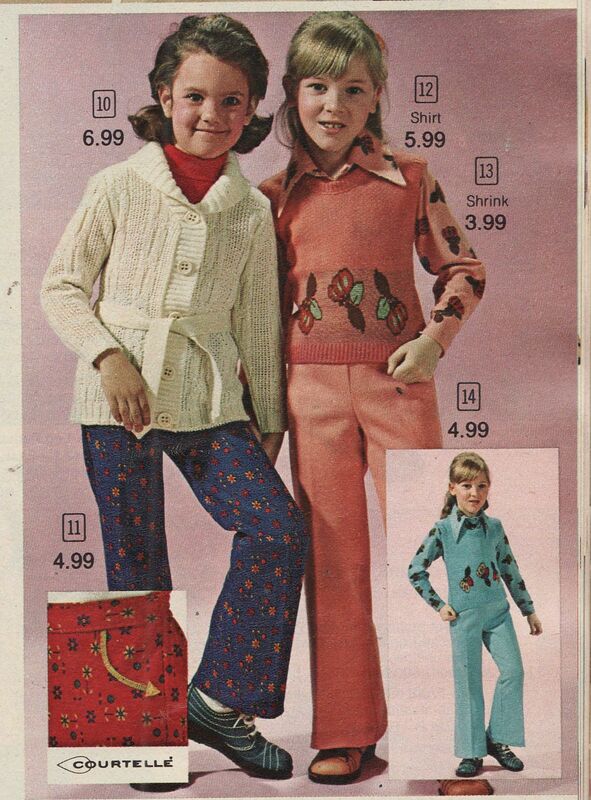 I hope fashion isn't heading back in that direction. 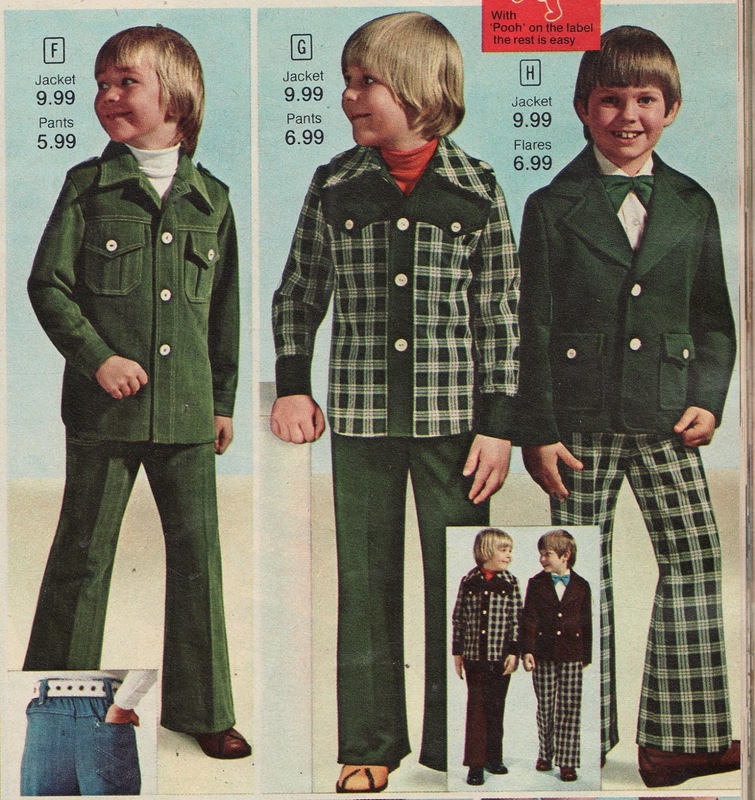 I would've loved to go back to school looking sharp in one of those, actually. 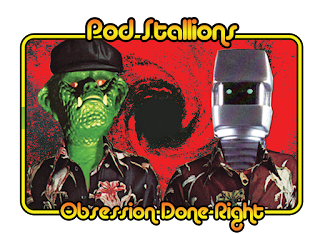 Youngest of four, so, hand-me-downs were it. Girl's #4 looks like Mrs. Beasley. 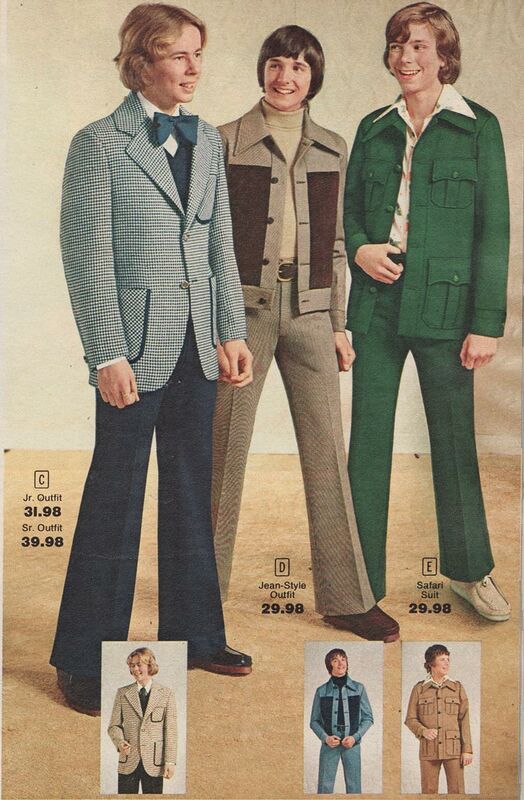 The young men's jean-style suit "D" is groovy. 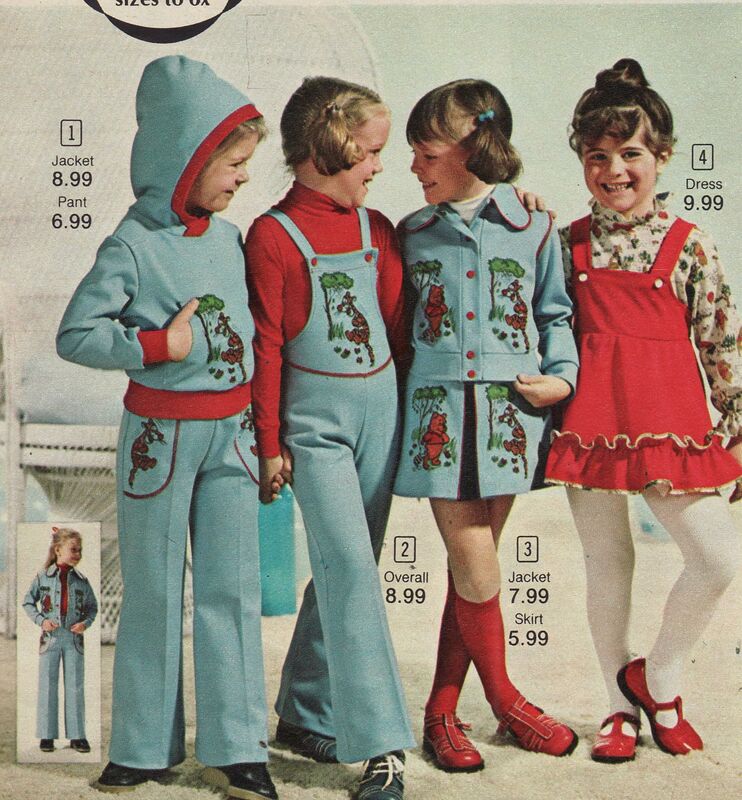 I had the same outfit but in blue. And my mom bought me a brand new pair of tan color wallabees. For the 1975 1976 year.